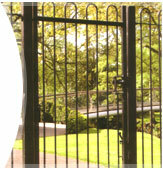 Wearside Fencing is one of the North East's largest fencing contactors and we have experience in many areas of Fencing. We are also one of a select number of fencing contractors to gain ISO accreditation in Health and Safety, Environment and Quality. See our Certifications page for more details. We are an approved supplier of this well respected brand. 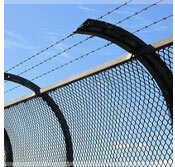 High security fencing to protect commercial installations. A low security but decorative fencing option. For all purposes and in a range of materials, can be built to order. 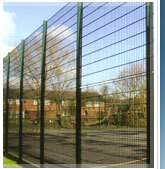 Standard sizes widely available or fencing can be made to order. An alternative to palisade fencing if you need a more aesthetic look.